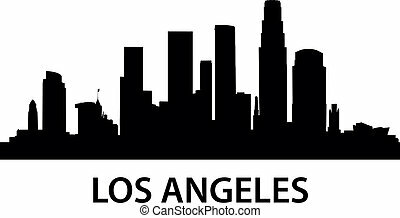 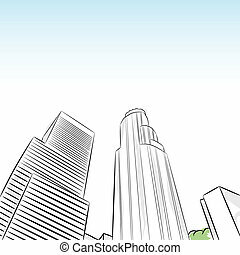 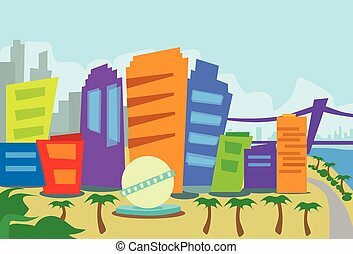 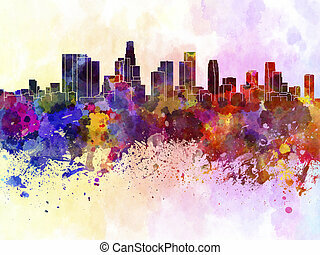 Cartoon los angeles skyline. 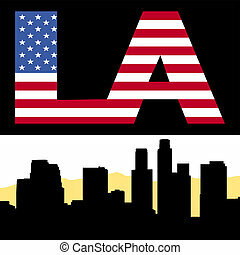 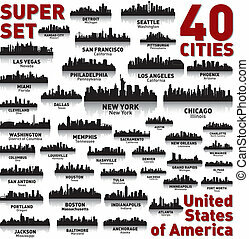 Cartoon skyline silhouette of los angeles, california, usa. 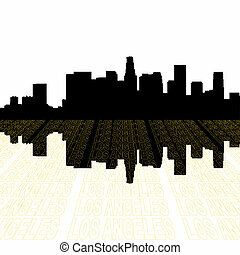 Cartoon skyline silhouette of Los Angeles, California, USA. 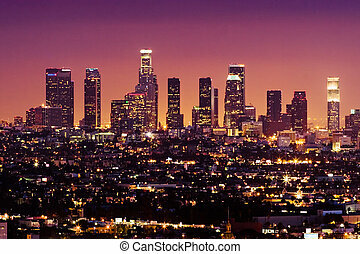 Los Angeles skyline at dusk. 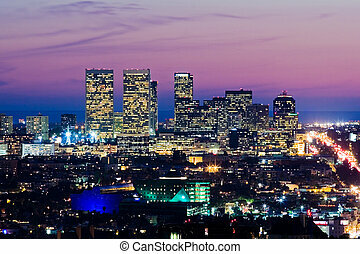 View of Century City and Pacific Ocean. 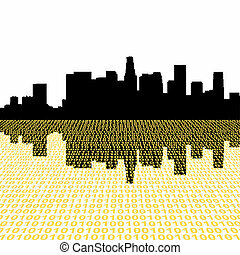 An image of a downtown los angeles financial district. 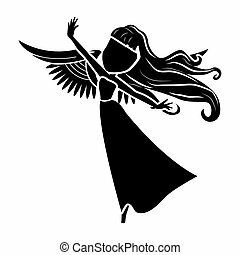 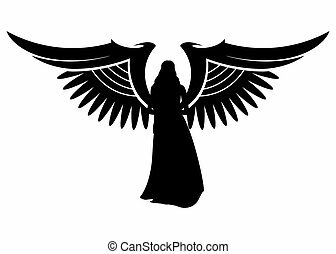 angel silhouette of an angel with wings on a white background.